Year-Round Lodge (duplex) complete with 5 bunk beds. Loon Lodge A features 2 restrooms each containing a shower, toilet and sink. Refrigerator, stove/oven, and microwave are also included. The volunteers and staff of the Michigan Crossroads Council have put the following policies in place to provide a safe camping experience to all campers. These are in accordance with Federal and State Laws as well the Policies of the Boy Scouts of America. Remember, our youth and our camps are in your care. To prevent misunderstandings, you and every other group using the facilities of the Michigan Crossroads Council are required to read and commit to these policies. Follow the Camp Code of Conduct. I understand as unit leader that it is my responsibility to review these policies and the Camp Code of Conduct with every group member on or before arrival at camp. Failure to follow these policies, including being found in off limit areas or engaging in prohibited activities will result in the immediate removal of any member of the group or the entire group. ILLEGAL activities will be reported to the proper Law Enforcement agency. We understand we will be charged for any loss or damage caused by group members. We agree to pay any and all such charges, which will include labor and materials. Two-deep leadership on all outings required. Two registered adult leaders, or one registered leader and a parent of a participating Scout or other adult, one of whom must be 21 years of age or older, are required for all trips and outings. There are a few instances, such as patrol activities, when the presence of adult leaders is not required and adult leadership may be limited to training and guidance of the patrol leadership. With the proper training, guidance, and approval by the troop leaders, the patrol can conduct day hikes and service projects. 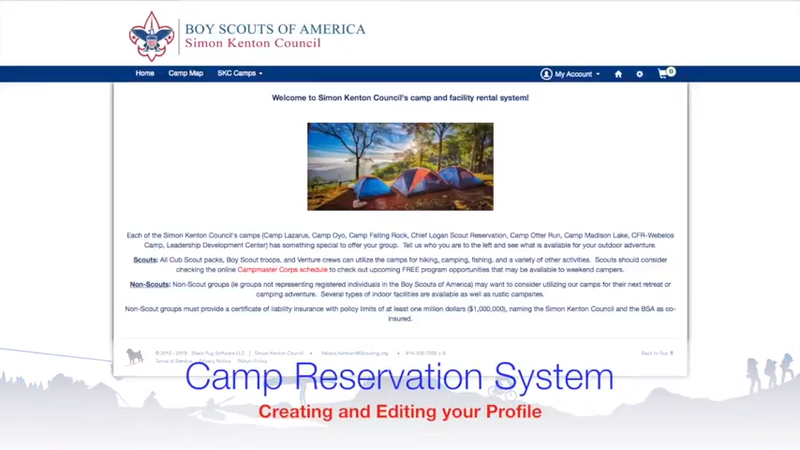 Appropriate adult leadership must be present for all overnight Scouting activities; coed overnight activities—even those including parent and child—require male and female adult leaders, both of whom must be 21 years of age or older, and one of whom must be a registered member of the BSA. The chartered organization is responsible for ensuring that sufficient leadership is provided for all activities. One-on-one contact between adults and Scouts prohibited. One-on-one contact between adults and youth members is not permitted. In situations that require personal conferences, such as a Scoutmaster’s conference, the meeting is to be conducted in view of other adults and youths. Separate accommodations for adults and Scouts required. When camping, no youth is permitted to sleep in the tent of an adult other than his or her own parent or guardian. Councils are strongly encouraged to have separate shower and latrine facilities for females. When separate facilities are not available, separate times for male and female use should be scheduled and posted for showers. Likewise, youth and adults must shower at different times. Privacy of youth respected. Adult leaders must respect the privacy of youth members in situations such as changing clothes and taking showers at camp, and intrude only to the extent that health and safety require. Adults must protect their own privacy in similar situations. Inappropriate use of cameras, imaging, or digital devices prohibited. While most campers and leaders use cameras and other imaging devices responsibly, it has become very easy to invade the privacy of individuals. It is inappropriate to use any device capable of recording or transmitting visual images in shower houses, restrooms, or other areas where privacy is expected by participants. No hazing. Physical hazing and initiations are prohibited and may not be included as part of any Scouting activity. No bullying. Verbal, physical, and cyber bullying are prohibited in Scouting. Youth leadership monitored by adult leaders. Adult leaders must monitor and guide the leadership techniques used by youth leaders and ensure that BSA policies are followed. Discipline must be constructive. Discipline used in Scouting should be constructive and reflect Scouting’s values. Corporal punishment is never permitted. Appropriate attire for all activities. Proper clothing for activities is required. For example, skinny-dipping or revealing bathing suits are not appropriate in Scouting. Members are responsible for acting in accordance with the Scout Oath and Scout Law. All members of the Boy Scouts of America are expected to conduct themselves in accordance with the principles set forth in the Scout Oath and Scout Law. Physical violence, theft, verbal insults, drugs, and alcohol have no place in the Scouting program and may result in the revocation of a Scout’s membership. One Unit Leader must check in with the Camp Director or Campmaster at the camp office. The Camp Director or Campmaster is expecting a unit roster at time of check in. Please download and fill out this roster and bring a copy with you for check in. At the time of check in, you will review the camp policies and make any final arrangements for program activities. You will also select a check out time so the Ranger or Campmaster can review the facility prior to your departure on Sunday. The Ranger will then complete a walk-through of your rented facility to check for cleanliness and damages. Failure to complete a check-out with the Ranger can result in a $50.00 cleaning fee. The Michigan Crossroads Council provides Council programs, high adventure camps and other camping experiences to the Scouts and leaders in its service area. These opportunities require Council staff to send deposits to the sponsoring camp, acquire needed supplies and produce mailings to campers and others so the Council sponsored experiences are rewarding and convenient for the Scouts and leaders in our Council. Fees are usually paid in advance of the event and to ensure the Council can provide the best service to the Scouts the following refund policies will apply. Participants are not considered registered for any event/activity until payment in full has been received. Facility reservation fees are final. Refunds may be granted only if a cancellation is brought to a Council employee’s attention. Individuals/Groups that cancel their reservations 30 days or more prior to the arrival date will receive a refund of the total rental fee less a 15% administrative service charge. No refunds will be given for cancellations made less than 30 days prior to the arrival date. Any/all refund requests must be made within 30 days of the reservation date. Event fees are final except in a limited number of circumstances (see listing below) where a refund may be granted. Refunds may be given only if the following circumstances are brought to a Council employee’s attention. Individuals/Groups that cancel their event registration 30 days or more prior to the event date will receive a refund of the total registration fee less a 15% administrative service charge. No refunds will be given for cancellations made less than 30 days prior to the event date. Any/all refund requests must be made within 30 days of the event date. 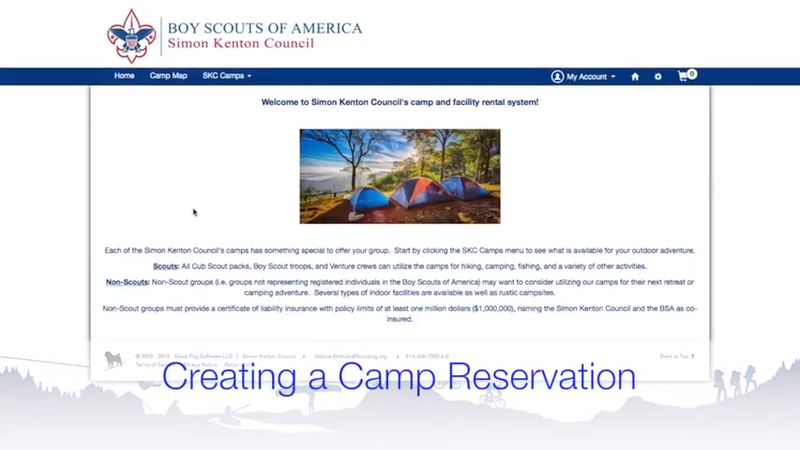 For Cub Scout and Boy Scout Summer Resident Camp registrations the cancellation fee is based on 15% of the total event registration fee and not the amount of fees paid at the time of cancellation. Alternately, Boy Scout Summer Camp fees may be transferred to another Scout or leader attending. No pro-rated fees will be given to Scouts wishing to attend a partial week at Boy Scout Summer Camp. The registered participant has an illness or physical ailment preventing participation in the event and has a signed statement from a medical doctor or healthcare practitioner. The written order must be provided to the Michigan Crossroads Council, 137 S. Marketplace Blvd., Lansing, MI 48917. In the event of the death of an immediate family member (parent, grandparent, brother, sister or anyone else living in the house with the participant). The Council will consider other deaths, which may affect the participant, on a case-by-case basis. Only an employee of the Michigan Crossroads Council may authorize a refund for a Council sponsored event. Any refund of monies for the event is then based on the total event registration fee at the time of cancellation minus the deposit and any money sent to another agency or company for the event. The remaining money is refundable as long as the participant meets the above requirements. Any money that has been sent to another agency or company is considered issued and not refundable. Any event that does not have a deposit, but has an event fee, will be assessed a 15% service charge before any refund is issued. All remaining money is refundable. Again, the participant must meet the above requirements. Processing these refunds for summer camp may not take place until after the camping season due to the review process. Once approved please allow 30 days for the refund to be processed. Any/all refund requests must be made within 30 days of the event date. Deposits are not refundable. Any cancellation, once the deposit has been sent to the Council, will be forfeited. Deposits may, however, be transferable to another participant that takes the entire slot for that event. The Michigan Crossroads Council and all approved event committees have the opportunity to set late fees or discounts for events. Late fees will be announced with the original posting for the event. Late fees paid to the Council are not refundable. At times the Council maintains a waiting list. If the participant is not selected to attend the event, all waiting list money will be refunded at 100%, including deposit money. If the Michigan Crossroads Council or National Boy Scouts of America or any agency that has contracted with the Council cancels an event, the Council will issue a full 100% refund (including any Deposit Money). These policies only affect the Michigan Crossroads Council, Boy Scouts of America; its committees and districts. This policy is not transferable to charter partners or individual units (Packs, Troops, Teams, Crews and Posts) of the Council. A Scout cannot attend an event. Cost of event is $20. The refund would be $20 - $3 (15% service charge) = $17 refund if notification was made at least 30 days prior to event. No refunds made for notifications made less than 30 days prior to the event date, however, the Scouts’ event fee may be transferred to another Scout. The Scout’s grandmother dies and thus is unable to attend a Philmont Trip. Philmont price is $750. The refund would be $750 - $100 (deposit) - $400 (Philmont Fee) = $250 refund. Florida Sea Base cancels trip due to shark attacks. Total cost of the Trip $1,000. The refund would be $1,000 no matter what. The Council will take the liability for the plane tickets and any other expenses. All money, even deposits, are refunded. All units / groups / visitors are responsible for leaving all equipment and facilities in a clean and orderly condition. Failure to do so may result in additional charges, which must be paid within 30 days of the use date. Your unit will be charged for damage to facilities.